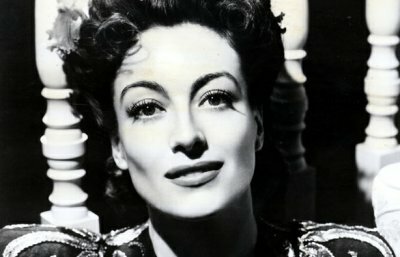 Joan Crawford was born Lucille Fay LeSueur on March 23, 1905, in San Antonio, Texas, to Anna Belle (Johnson) and Thomas E. LeSueur, a laundry laborer. By the time she was born, her parents had separated, and by the time she was a teenager, she'd had three stepfathers. It wasn't an easy life; Crawford worked a variety of menial jobs. She was a good dancer, though, and -- perhaps seeing dance as her ticket to a career in show business -- she entered several contests, one of which landed her a spot in a chorus line. Before long, she was dancing in big Midwestern and East Coast cities. After almost two years, she packed her bags and moved to Hollywood. Crawford was determined to succeed, and shortly after arriving she got her first bit part, as a showgirl in Pretty Ladies (1925). Three films quickly followed; although the roles weren't much to speak of, she continued toiling. Throughout 1927 and early 1928, she was cast in small parts, but that ended with the role of Diana Medford in Our Dancing Daughters (1928), which elevated her to star status. Crawford had cleared the first big hurdle; now came the second, in the form of talkies. 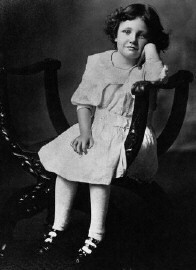 Many stars of the silents saw their careers evaporate, either because their voices weren't particularly pleasant or because their voices, pleasing enough, didn't match the public's expectations (for example, some fans felt that John Gilbert's tenor didn't quite match his very masculine persona). But Crawford wasn't felled by sound. Her first talkie, Untamed (1929), was a success. As the 1930s progressed, Crawford became one of the biggest stars at MGM. She was in top form in films such as Grand Hotel (1932), Sadie McKee (1934), No More Ladies (1935), and Love on the Run (1936); movie patrons were enthralled, and studio executives were satisfied. By the early 1940s, MGM was no longer giving her plum roles; newcomers had arrived in Hollywood, and the public wanted to see them. Crawford left MGM for rival Warner Bros., and in 1945 she landed the role of a lifetime. 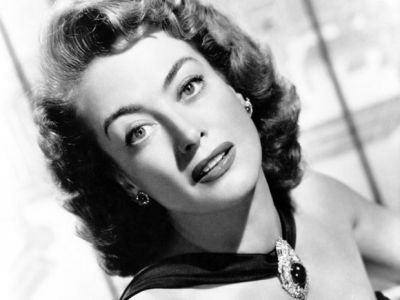 Mildred Pierce (1945) gave her an opportunity to show her range as an actress, and her performance as a woman driven to give her daughter everything garnered Crawford her first, and only, Oscar for Best Actress. The following year she appeared with John Garfield in the well-received Humoresque (1946). In 1947, she appeared as Louise Graham in Possessed (1947); again she was nominated for a Best Actress from the Academy, but she lost to Loretta Young in The Farmer's Daughter (1947). Crawford continued to choose her roles carefully, and in 1952, she was nominated for a third time, for her depiction of Myra Hudson in Sudden Fear (1952). This time, the coveted Oscar went to Shirley Booth, for Come Back, Little Sheba (1952). 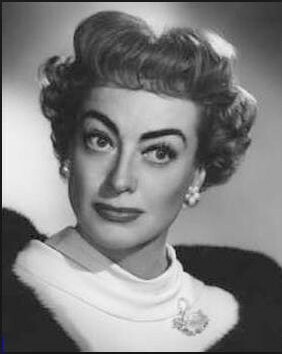 Crawford's career slowed after that; she appeared in minor roles until 1962, when she and Bette Davis co-starred in What Ever Happened to Baby Jane? (1962). Crawford's final appearance on the silver screen was in a flop called Trog (1970). Turning to vodka more and more, she was hardly seen afterward. On May 10, 1977, Joan died of cancer in New York City. She was 72 years old. She had disinherited her adopted daughter Christina and son Christopher; the former wrote a tell-all book called "Mommie Dearest," published in 1978. The book cast Crawford in a negative light and was cause for much debate, particularly among her friends and acquaintances, including Douglas Fairbanks Jr., Crawford's first husband. (In 1981, 'Faye Dunaway' starred in _Mommie Dearest (1981)' which did well at the box office.) Crawford is interred in the same mausoleum as fellow MGM star Judy Garland, in Ferncliff Cemetery in Hartsdale, New York.